The value of an Oriental rug transcends the stunning artistry displayed in its intricate weaves, often containing a long and meaningful history that becomes part of its overall charm. Therefore, it’s imperative for owners and collectors of Persian rugs to have trained, experienced experts establish the age, origin, history and value of their rug. 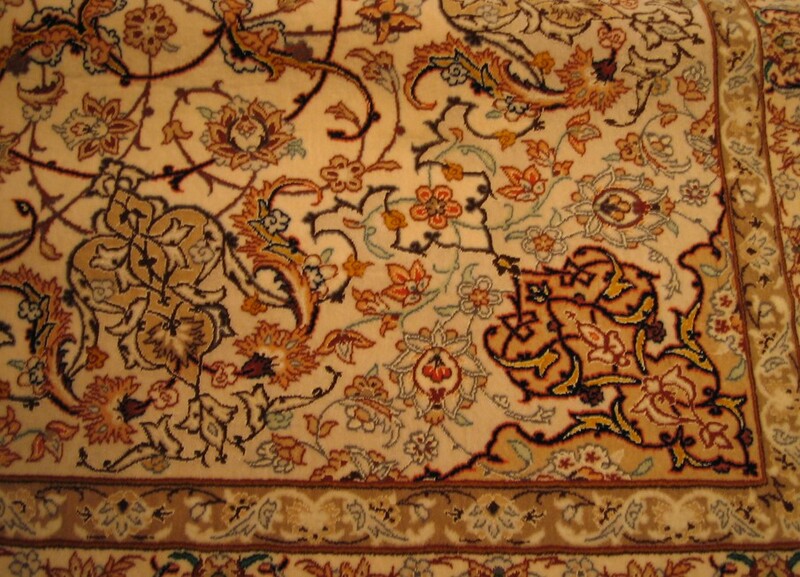 Doing so not only enables your Oriental rug to be insured against damage or replacement, but offers a unique view into its past and the significance of each tinted thread. Ahdoot’s extensive membership in the International Society of Appraisers has prepared us with a wealth of expertise and a meticulous approach to Oriental rug appraisal. Through our membership, we have gained a tremendous amount of industry knowledge, while continuing to educate ourselves in order to develop even stronger methods of making appraisal assessments. Our clients come to us from a variety of backgrounds, knowing we only employ qualified specialists who are able to provide unsurpassed, professional appraisals on their Oriental rugs. Like you, we appreciate every detail of a rug’s history, and delight in the opportunity to share this knowledge with our customers. We have even simplified the process by offering our rug appraisal services to be performed in our Midtown, Manhattan location, or in the convenience of your home. You may have already received an appraisal on your rug in the past. However, we have learned from experience that many Oriental rug owners have not kept these records updated, or their appraisal was not obtained from a reputable and licensed appraiser. It is therefore essential to receive a current assessment on your rug’s origination, structure and age to meet insurance valuation requirements. For over 35 years, we have been proud to serve owners of Oriental rugs and other handcrafted pieces, also offering skilled appraisals on tapestries, wall-hangings, runners, and throw rugs from diverse cultures around the world. Let our experts guide you through the process, and allow you to peer into the story recorded in each weave of your Oriental rug. Beyond appraisals, Ahdoot recommends your rug undergo regular cleaning in order to energize the dyes and prevent considerable damage from occurring. Our organic rug cleaning service is ideal for those suffering from allergies or with small children and pets. We also provide expert repair services, utilizing weaving experts who can skillfully restore your rug with unparalleled precision, so you can again enjoy the luster of your handmade piece.